Chicken Biryani is a flavorful rice dish made with fragrant Basmati rice. 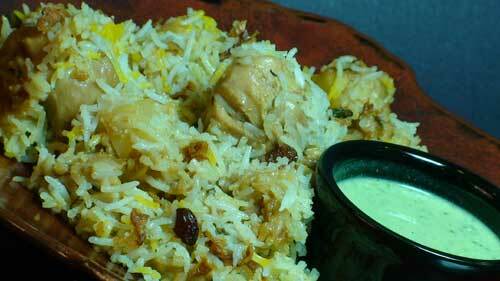 There are many different varieties of Biryani, including the famous Hyderabadi Biryani. If you have ever been scared to make Biryani, try this step-by-step version, you will be surprised how easy it is!